OMG Jacky do you remember this one from Bonnie Hunter? 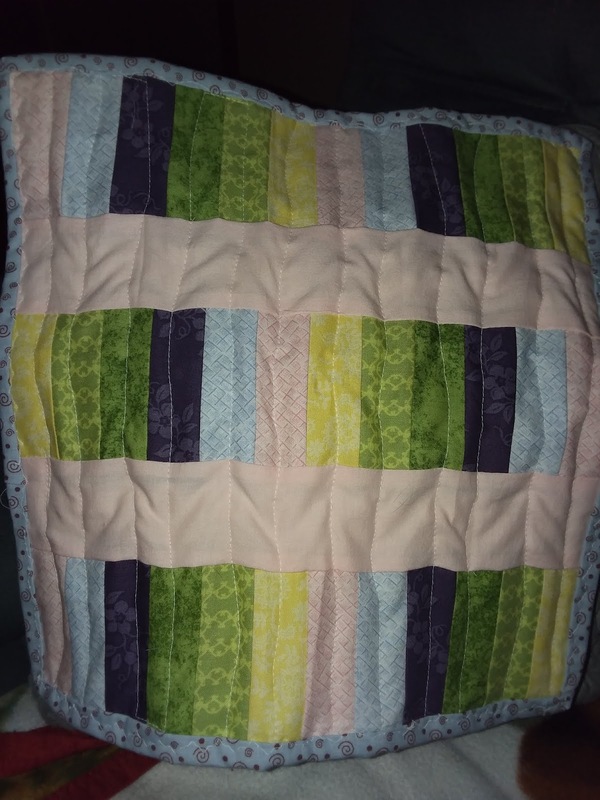 Finished the binding on this doll quilt for Jacky. I know I work better with a plan and use lists for lots of things. I finished July's FGV assignment and will share about those either later today or tomorrow. Only 3 left to do and so I hope to finish them for August. I am sewing without a "net" (=plan) here lately--just pulling strings from a HUGE bagful..
Rich bit you on the back of your leg, your secret is out!